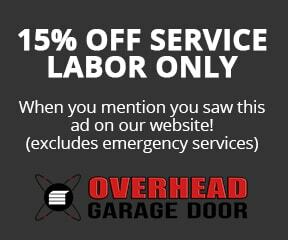 Glencoe Garage Door Installation & Repair | Overhead Garage Door, Inc.
Is your garage door broken or malfunctioning? Is your garage door chain or track rusty or problematic? Do you need a whole new garage door? If you live in Glencoe, you’re in luck. Overhead Garage Door has over 45 years of experience repairing and installing garage doors in Glencoe. Our team of garage door professionals is ready to fix whatever problem you are experiencing. Our repairs are efficient and we use quality parts from top suppliers. We can fix your garage door opener, chain, track, motor and more. We know that when a problem arises with your garage door, you need it fixed fast. That’s why we offer emergency services. Call us anytime and we’ll fix your garage door as soon as possible. If you’re in the market for a brand new garage door, we can also help you out. We work with a variety of top garage door suppliers to bring you a variety of custom garage door options so that you can have the perfect selection. 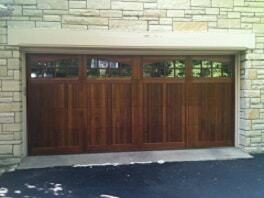 We have wood garage doors, steel garage doors and carriage house garage doors from major manufacturers. We install garage doors for both residential and commercial customers. Call us at 888-459-3720 to schedule garage door service in Glencoe.